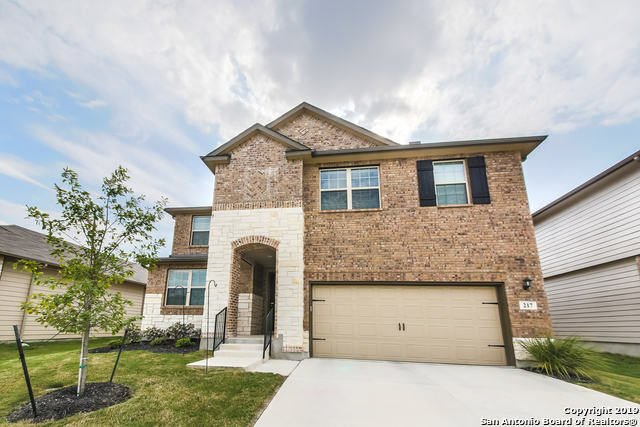 All CIBOLO VISTA homes currently listed for sale in Cibolo as of 04/25/2019 are shown below. You can change the search criteria at any time by pressing the 'Change Search' button below. "BETTER-THAN-NEW!!! HIDDEN GEM, ENERGY EFFICIENT, SMART HOME!! PERFECT FOR OUTDOOR LIVING and entertaining with an oversized, screened porch plus paver patio, beautiful landscaping, a huge kitchen with pendant lights over a granite breakfast bar, and an open plan. The three-car, finished garage means plenty of room for tools or toys! Carpet in the bedrooms and tile floors everywhere else make for comfort and easy care. *PLUS* years left on the Builders Warranty and a Home Warranty make this a MU"
"Meritage home on 1/4 acre cul-de-sac lot w/master suite down, 3 car garage, office, loft & media room! Features incl: wrought-iron staircase railings, diamond pattern 18 floor tile, crown molding, foam insulation & granite bathroom counters! Island kitchen w/ stainless steel appliances, sandstone back splashes, farmhouse sink, pendant lighting, breakfast bar & gorgeous granite counter tops! Also: dramatic, 2-story entry hall, bay windows & dual sinks in hall bath! Cul-de-sac parking for parties!" "This beautiful 5 bedroom home might as well be BRAND NEW!! You want natural light? You got it with huge energy efficient windows in the family room! Get work done and keep an eye on everyone in the house in the loft currently serving as office space! Kitchen fully equipped with SS appliances, granite counter tops, glass tile backsplash with an island breakfast bar combo! Community pool less than 100 yards away! 8 miles away from Randolph Air Force Base!" 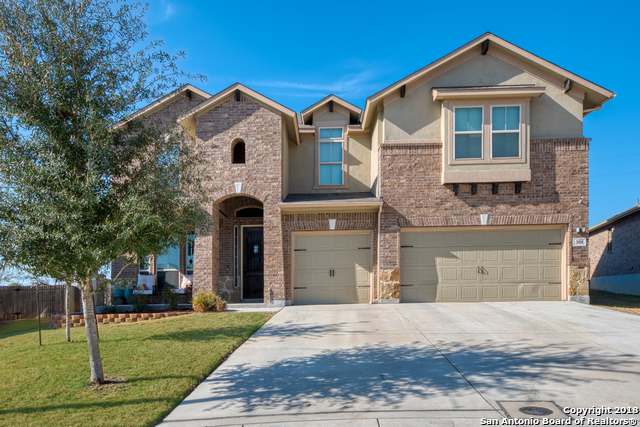 "Stunning model home condition 2-story featuring Master Suite downstairs w/ TX size walk-in closet. Home features decorative tray ceilings, huge kitchen island opening to nook and Family Room. Guest Suites upstairs w/full bath PLUS a Game Room. Luxury Tile & Wood in all main areas, granite counter tops, SS appliances, 2 blinds, sprinkler sys, huge covered back porch w/ fans, Green Belt View!! 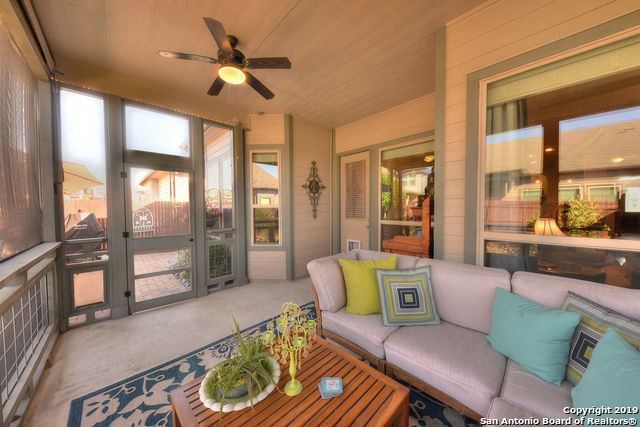 2 H20 Heaters, French Doors welcome you to an elegant DR that opens to a 2nd Patio!! 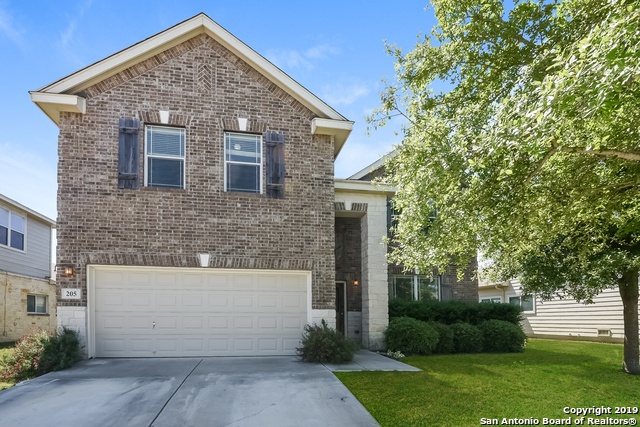 Must check it ou"
"This Cibolo two-story offers a den, stainless steel appliances, granite kitchen counter tops, and a two-car garage. Upgraded features include fresh interior paint."